Brexit negotiators have spent two years looking at alternatives to the backstop insurance policy to avoid a hard border on the island of Ireland and have not found any that work, Irish Foreign Minister Simon Coveney said on Wednesday (January 30). British lawmakers ordered Prime Minister Theresa May on Tuesday to renegotiate the divorce deal she struck with the European Union in November to remove the backstop, which would require some EU rules to apply in British-ruled Northern Ireland until an alternative plan can be found to keep the border open. 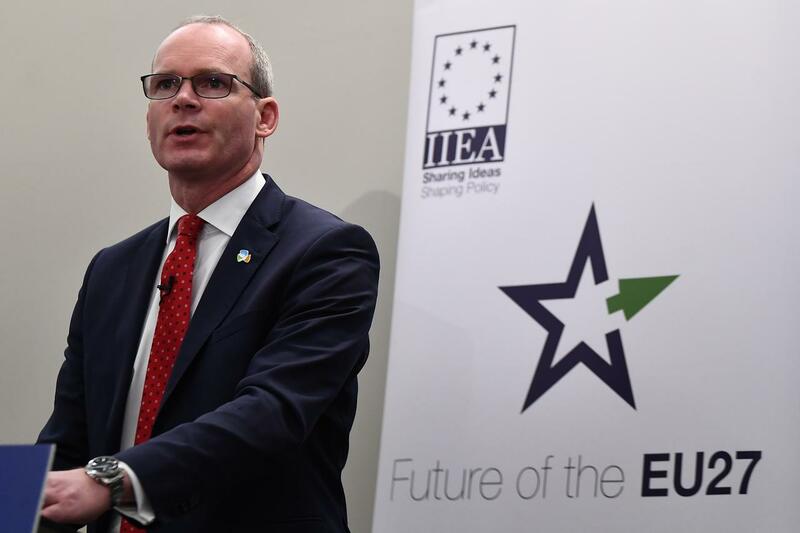 In his speech in Dublin, Coveney said there were mechanisms to get around some of the challenges May faces but the only way to do so was through the accompanying political declaration on future EU-UK ties. Unlike the binding divorce agreement, the non-binding declaration can be renegotiated to ease concerns on the backstop, he said. However both sides were “running out of road” to prevent Britain from crashing out of the bloc at the end of March without an agreement, he added.